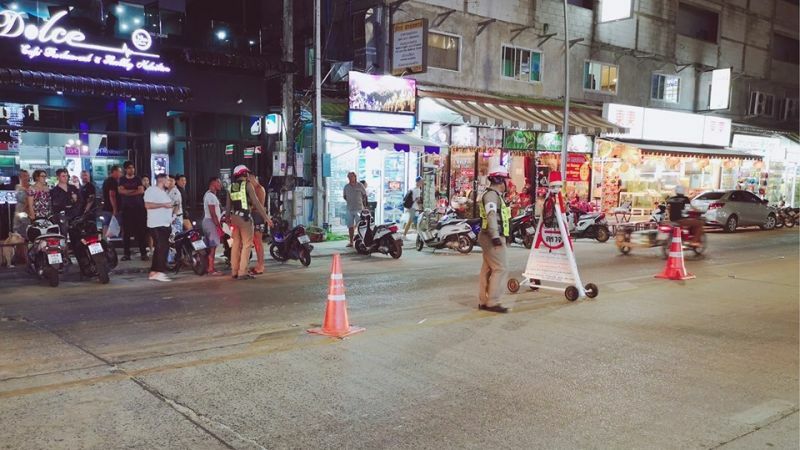 PHUKET: Patong Police have set up a new check point on Phra Mettha Rd to catch speeding tourists after a video emerged on social media showing a tourist on a motorcycle popping a wheelie on the road. 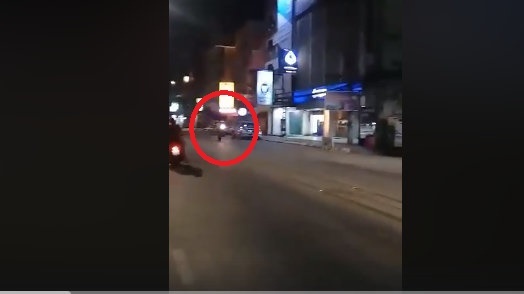 A still from the video on social media that shows a tourist popping a wheelie on Phra Mettha Rd. “We will also tell the rental shop owner to explain the traffic rules to all future renters,” he added. 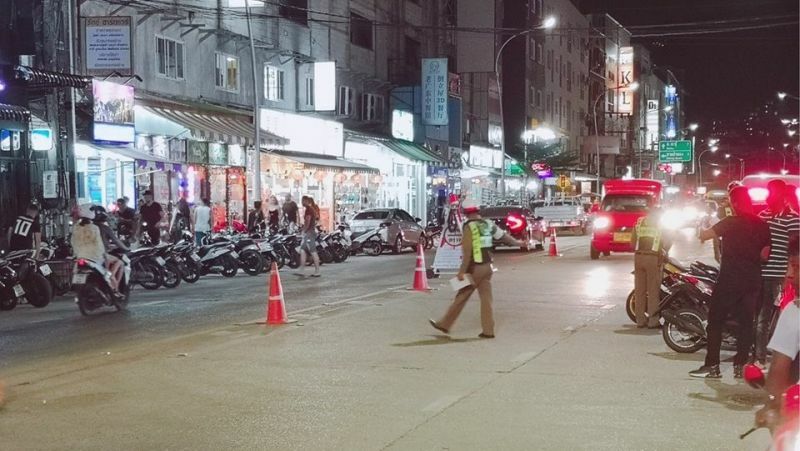 Col Anotai explained that there are always police checkpoints in Patong to maintain safe traffic in the area. “When the video emerged, we set up a checkpoint in the same location day and night to put a stop to the dangerous driving there,” Col Anotai said. 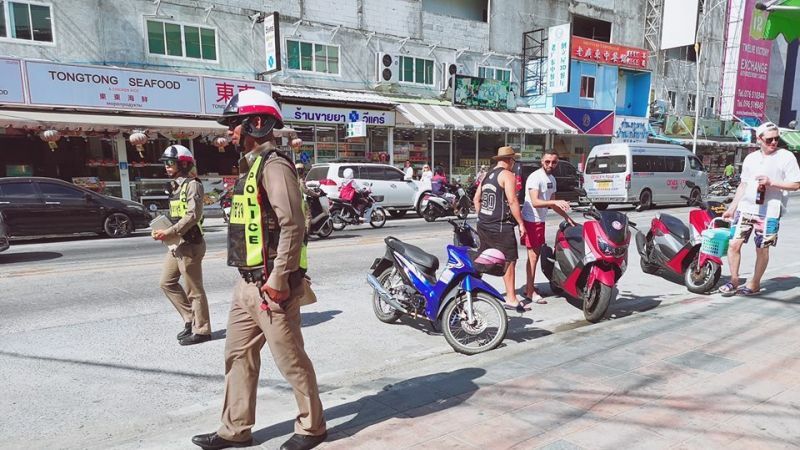 Col Anotai went on to speak about road safety statistics in Patong, “2018 figures show that Patong Police arrested approximately 2,000 people per month for traffic violations. “The most common violations were driving without a valid licence, driving through red lights, and driving without a helmet,” he noted. Col Anotai added that, “Of the 2,000 monthly traffic violations in Patong, half were foreigners and half were Thais. It's more of keeping a particular area accident free given the reports of incidents a preventative measure. No point in setting up a road block on back streets. A bit hard to catch people when all you have is scooters- cops need proper vehicles and bikes to chase down traffic offenders. The trick with checkpoints is to set them up in random locations, not the same place all the time. Its about catching offenders not convenience. Isn’t it odd that one half of all ticketed is foreigners? Seems like the population is more Thais than foreign. Why unfairly ticket more foreigners.